Today was our first day back to our previously scheduled programing, after all the holiday festivities. When I asked the Bee what she wanted to do today, she told me she wanted to make a house. 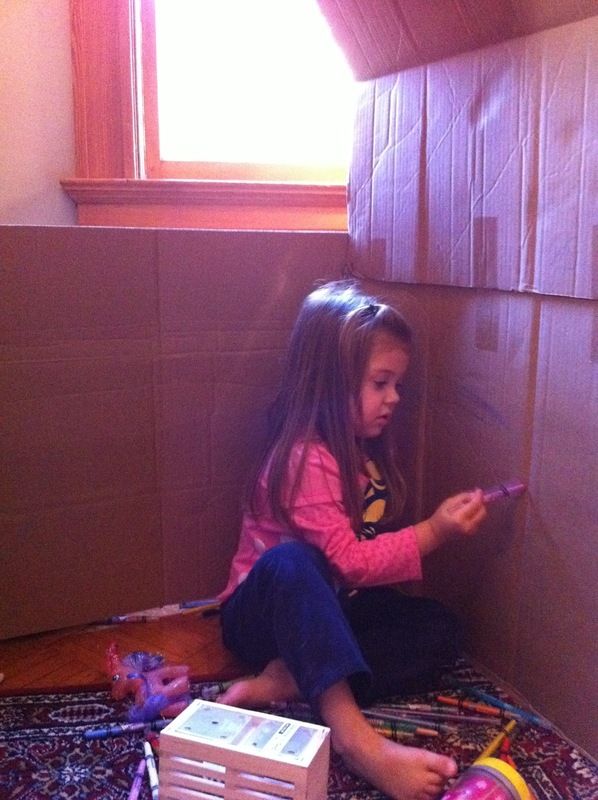 So using the huge pile of cardboard we have amassed in the last week, I built the girls a very simple cardboard playhouse. It had a roof and walls on two sides with a half wall on the back. After a while of playing we added a little half wall to the front too. 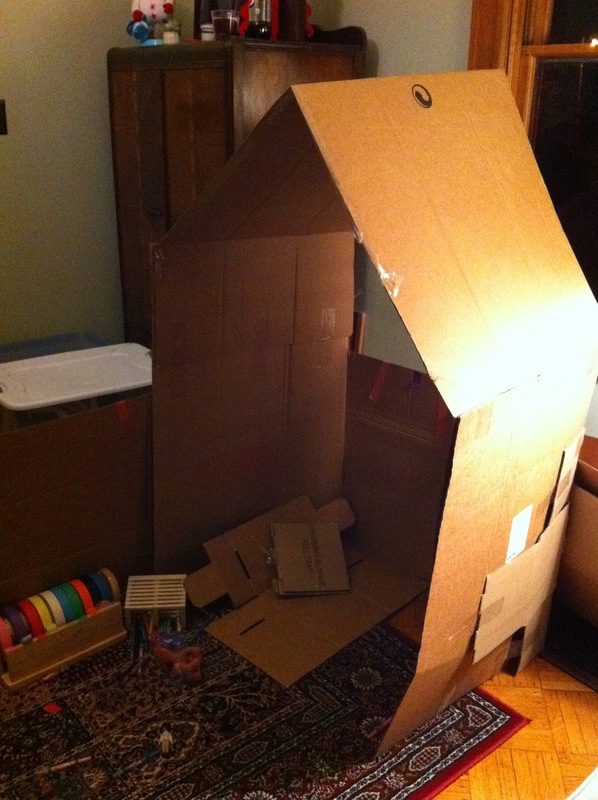 The Bee also suggested that their house could use a little decoration so we got out some crayons and colored tape and the girls worked on the interior design. Well I m sure the structure will not be permanent (it's sitting right in front of our front door) it certainly provided a full afternoon of fun! I have that tape dispenser in my amazon cart. Do you get a lot of use out of it? Can you find it locally or did you order it too? Stephanie- We just ordered it from amazon for the Bee as a Christmas present. She has one at school that she talks about all the time so she was pretty excited to have one of her own. So far we have used it a few times but I don't know if that is just because it is still new, or if it will have some long term appeal. I will let you know.